Wash the nettles thoroughly and cook them for about 10 minutes in very little water. Add more water later on if needed. Blend/process the cooked nettles in a food processor / blender. Heat the oil in a saucepan and stir fry the onion. Add the nettles, flour, corn flour and the garlic. Cook for about 5 minutes. Garnish on the plate with little bit olive oil. 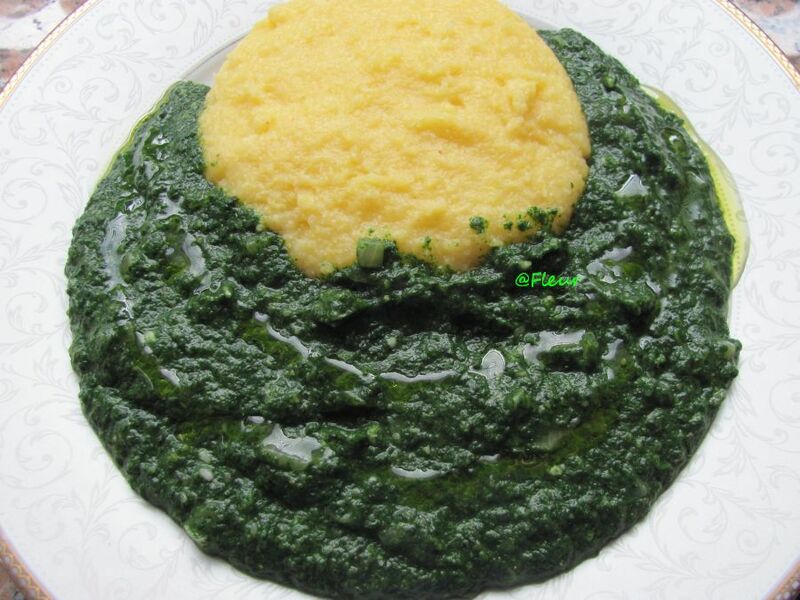 Serve hot with polenta! Note: Pick the nettles early in the spring (march/april) when the plant is very young. Pick only the tips and use gloves. The nettles are tasty, nutritious and absolutely free! Creat de: fleur laFriday September 13th, 2013.la09:12 AM.